This post focuses on a guide that will assist you in downloading your project files to the target device that will host your InTouch Machine Edition HMI project. To complete this task, you must be connected to the target device and the project runtime software (InTouch Machine Edition Standard, or Compact must be installed on it. On the Home tab of the ribbon, in the Remote Management group, click Connect. The Remote Management dialog is displayed with the Target tab selected. On the Target tab, check to see if you are already connected to the target device. If you are not, then review the connection settings and click Connect. The Remote Management tool connects to the target device and its status is displayed. Tip: If the connection settings are correct but you cannot connect to the target device, then make sure Remote Agent (CEServer.exe) is running on the device, empty the device’s \Temp directory, and try again. In the list of tabs on the left, click Project. The Project tab of the dialog is displayed. In the Local box, you should see location/filepath of the project that is currently open. This is the project that will be downloaded to the target device. In the Target box, verify the location/filepath for the project files on the target device. If the path is incorrect, then click the browse button to the right of the Target box to select a new path. Assuming you are properly connected to the target device, you should be able to browse it like any network drive. Note: By default, you can download the project files to any location on the target device, even to another location outside the directory that contains the runtime software (e.g., \Storage Card\CEView). You might consider this a security vulnerability, however, so if you want to restrict downloads only to the directory that contains the runtime software, then go to Remote Agent on the target device and select Lock project download. Click Download to download the entire project to the target device, or click Send File to select an individual file to send. When you download your project to the target device, the new project replaces the old one automatically and immediately, even if the old project is still running. Also, if you clear the ‘Only newer files’ option, then the development application will delete all of the old files in the project folder before downloading the new files. As such, you may want to manually stop the old project (by clicking Stop) before you download the new one. That way, you can make sure it stops gracefully and does not disrupt any other processes. It is not strictly necessary to stop the project, however, so if your project is robust enough to handle the switch then you can send new files whenever you need to. Once you’ve initially configured the Remote Management settings, you can use Download (on the Home tab of the ribbon) to send updated project files at any time without opening this dialog. You can compress the project files to make them download more quickly over a slow network connection. To do this, select the Enable File Compression check box in the Communication tab of the Project Settings dialog. If the download is interrupted, then the development application will request confirmation to continue and advise you that the project may not run properly. 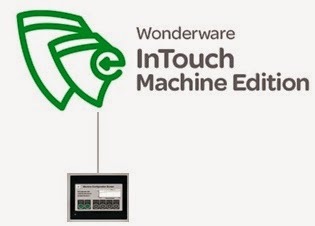 Designed to run on Windows Embedded operating systems, InTouch Machine Edition is build to be a perfect replacement for proprietary panel HMI. 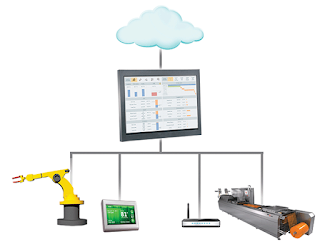 Full-featured HMI software allows machine builders, OEMs, and end users to design and manage HMI applications efficiently. Templates can be easily deployed and customized to the specific needs of each installation during the runtime. A comprehensive set of remote management tools minimizes downtime and enables application lifetime management. Platform independency with backward compatibility unlocks users from a specific hardware vendor and increases the overall ROI. Native and intuitive integration with System Platform reduces development cost and increases drastically the flexibility to flow information across the different levels of the automation system. See more at: Wonderware.com/ITME or download the software and try it yourself.